Hitting the road in your new RV for the first time can be intimidating. Don’t let that initial uneasiness keep you away from traveling though. 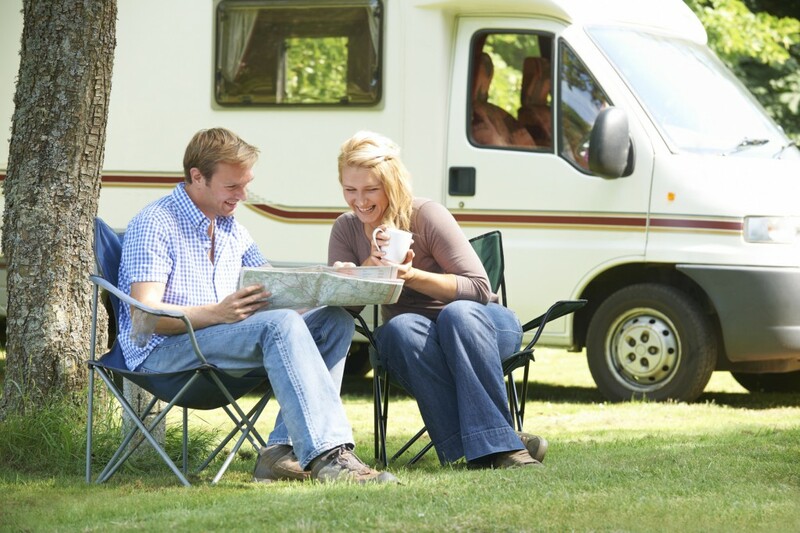 The following RV driving tips will help you hit the roads for the first time with confidence. Comfort is one of the most important parts of driving your new RV. Be sure to adjust your driver’s seat and make sure you can comfortably reach all of the controls and pedals. Adjust your mirrors and become familiar with using your rear vision camera before you hit the road. When crossing the U.S. in your RV, there’s a big chance you’ll encounter high winds at some point. The first big gust of wind to hit your RV can really get your heart pumping, but it’s easier to maintain control than you may think. Slow down to a speed where you can successfully control your RV — no matter how slow that speed may be. Avoid weaving through traffic, tailgating, or making sudden lane changes. If the winds are too high to comfortably maintain control of your RV, it’s time to pull over and take a break until the heavy winds pass. Driving in the city, or congested traffic, with your new RV from Fretz RV can be scary at first. It’s important to understand that turning your RV is different than turning your everyday vehicle. Advance your motorhome farther into the intersection before turning. This is necessary, because the front end of the vehicle is often extended beyond the front wheels. Similarly, you’ll need to turn into the left lane slightly before beginning your turn to the right. This maneuver allows the rear of your RV to make corners without traveling onto the curb. One of the best steps you can take before hitting the road is to take an RV driving course. RV driving classes will provide you with the confidence you need to enjoy your RV lifestyle to the fullest. Stop by Fretz RV to tour a new or used motorhome and find one that you can feel comfortable handling on your next road trip.